Italy’s largest retailer, Coop Italia, wanted to transform the customer shopping experience. The recipe for success? With Accenture’s help, it blended exciting new digital capabilities into the store environment to create the Supermarket of the Future. Digital and the Internet of Things are changing the way customers shop for groceries. As Coop Italia’s innovation partner, Accenture set out to help the retail giant connect with this new generation of internet-savvy shoppers—fueled by new technologies and devices. To showcase its commitment to providing the very best shopping experience for its members, Coop Italia wanted to create a welcoming and informative retail environment using advanced digital technologies. 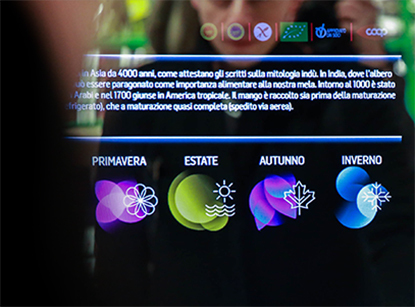 After unveiling the Supermarket of the Future showcase at Expo Milano 2015, Accenture and Coop Italia brought the concept into the real world with Coop’s first Supermarket of the Future store in Milan, Italy. The new flagship store provides a welcoming, innovative and informative shopping environment. It merges the physical and digital to recreate the atmosphere of local open-air markets, combined with innovative digital solutions that provide useful product information while improving store navigation. Coop Italia and Accenture had to strike the right balance in using technology to enhance the overall experience, not hinder it. Every decision was based on key consumer insights, resulting in a design that provided shoppers with the tools and information to make their experience as convenient and personalized as possible. Accenture helped the supermarket redesign its information architecture, implement IT infrastructure, and analyze and develop point-of-sale touch points. To implement this groundbreaking plan, Accenture collaborated with Avanade, a joint-venture company between Accenture and Microsoft. Using a Microsoft Azure cloud-based platform as its technological foundation, Accenture and Avanade delivered a solid, modular and flexible solution that can be easily scaled to a large number of stores. From the overall store layout to specific product placement on individual shelves, no detail was too small in creating a journey towards more conscious and informed shopping. Interactive display tables, redesigned vertical shelving and real-time data visualization throughout the store complemented each other to create an innovative, holistic experience. Products are exhibited in the supermarket on large interactive tables where a simple hand movement shows augmented information about the product on a monitor, including its origins, nutritional facts, any allergens, waste disposal instructions, correlated products and promotions. This augmented experience is made possible by Microsoft Kinect sensors that use body detection to interpret the customer’s gestures. In the new store, the traditional shelving layout has been revamped and a nearby touch application enables the customer to navigate through product categories to filter and search for the most suitable products, discover promotions, and view detailed product information. 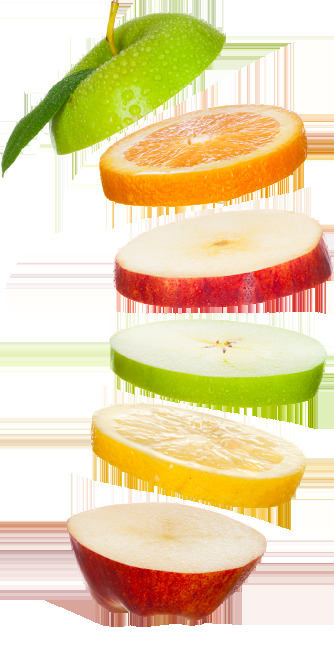 The result is an augmented label that gives the customer deeper insight into the product they are purchasing. During the journey through the store, customers can take a look at a large real-time data visualization screen showing content including: Coop’s brand values, special daily offerings and cooking suggestions, social media information like posts on Coop’s Facebook account as well as top-selling products and promotions for each category. This facilitates an additional interaction point with shoppers. Forget that old paper shopping list. Now you can do all your grocery shopping with the help of the chatbot ShoppY, a virtual shopping assistant designed to help you with your shopping lists, give you purchase recommendations, notify you of promotions, help you find products in the store, and even tell you when the store is open. Developed by Accenture and Avanade using Microsoft technology, the chatbot takes advantage of machine learning algorithms to learn on its own from the information on shopping receipts in order to provide customers with a helpful service. 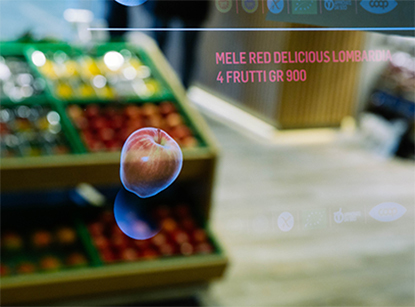 With digital and physical convergence, Coop Italia’s Supermarket of the Future is creating an engaging and immersive grocery shopping experience. Coop is shaping the future of supermarkets by combining hyper personalization, deep product information and connected devices in-line with customer buying journeys. Interactive food display tables and smart shelves make shopping more relevant and personalized by providing customers with a range of product information. With its flagship store, Coop is anticipating marketplace changes and demonstrating digital leadership in grocery.